Fred Wah's 1985 Waiting for Saskatchewan offers a snapshot of the emergence of an Asian Canadian aesthetic, providing a genealogy that positions Asian Canadian writing at the nexus of transnational flows from China, Japan, and the United States, while also emphasizing the cross-ethnic coalitions that give rise to the category of the Asian Canadian in the 1970s and 1980s. Waiting for Saskatchewan offers a complex constellation of Chinese content, Japanese forms, and U.S. aesthetic mediation that nonetheless takes as its “centre” a small Canadian prairie town. 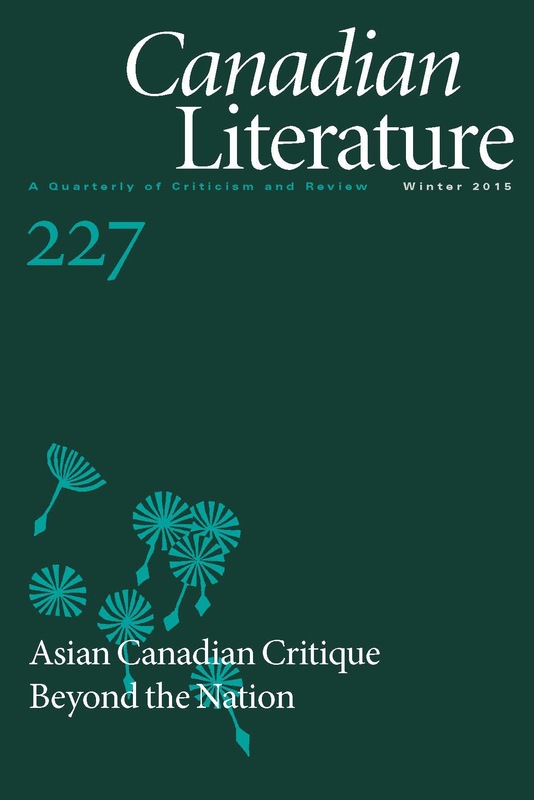 The forms of Waiting, from Olsonian projective poetics to the Japanese haibun, reveal Asian Canada as a process of transnational convergence, a dialogic space that is always being rewritten across national borders. Timothy Yu is associate professor of English and Asian American studies and director of the Asian American Studies Program at the University of Wisconsin-Madison. He is the author of Race and the Avant-Garde: Experimental and Asian American Poetry since 1965 and of a poetry collection, 100 Chinese Silences.